Arsenal take on Southampton on Sunday, and Arsene Wenger is set to be forced into a decision with Shkodran Mustafi ruled out with an injury. The German international limped off in the early stages against Man Utd at the Emirates last weekend, and it appears as though he hasn’t recovered in time to line up against the Saints, as per the video below. In turn, Wenger will have to adjust without him which will be a blow as there were some positive signs with the experienced centre-half settling into the back three. Arsenal bounced back in midweek from that loss against United with a comprehensive 6-0 win over BATE Borisov in the Europa League, but changes will be expected as Wenger continues to rotate his squad. However, they’ll have to try and build on that result without their 25-year-old defender, who has been ruled out with the thigh injury keeping him sidelined. It’s added that Mustafi could return to face West Ham United next week, but for now Arsenal will have to do without his services, with Per Mertesacker a possible stand-in given he didn’t feature in Europe on Thursday night. 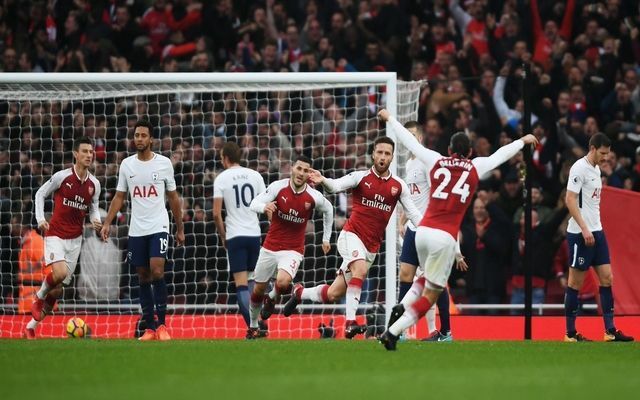 The Gunners fell to sixth place after Saturday’s results, but a win over Southampton could lift them back up to fourth spot, depending on Liverpool’s result against Everton in the Merseyside derby, and they’ll surely be confident that they’ve got enough strength in depth to cope with key absentees.